With perfect timing some good weather at last arrived as we embarked on an assessment of invertebrate habitat at Minsmere this week. Overall, there is a good diversity of habitat on this section of the Suffolk coast but the increasing numbers of Red Deer and the impact of their trampling and browsing is a concern in some areas. The trip turned into a bit of a general bio-blitz, with a good range of local specialities logged over a couple of days. 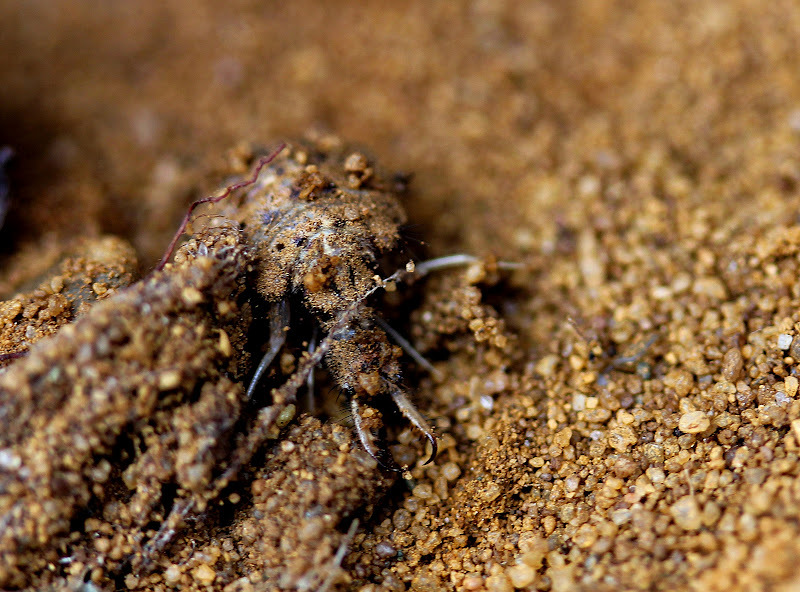 Antlions are one of those local specialities, with their characteristic larval pits even being found around the visitor centre walls. We concentrated our search down at North Warren where a concentration of 1000+ pits had been counted earlier in the season. 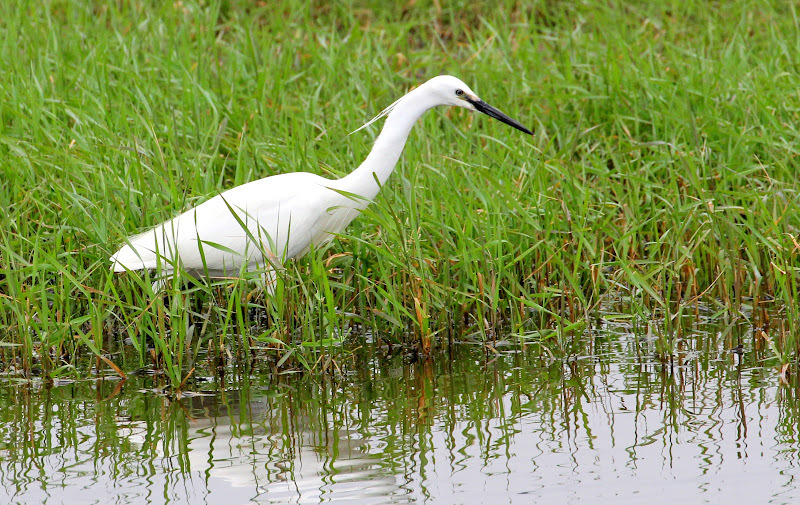 Many had been washed away by recent heavy rain but a good number remained. 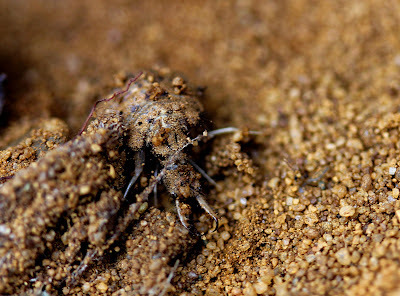 The sand at the bottom of the pits conceals a ‘Doctor Who’ monster of a larva. As soon as a couple of ants were ‘persuaded’ to wander around the pit edge, a deadly flick of sand knocked them down to the waiting jaws. 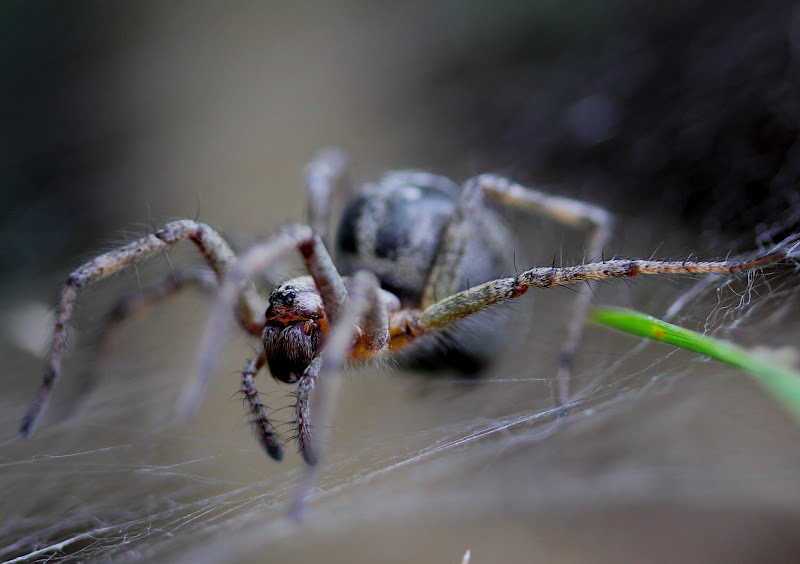 Plenty of Grayling and Silver-studded Blue butterflies were on the wing across the heathland, a long list of bees was steadily accumulated, and each gorse bush seemed to be home a few of the widespread Labyrinth Spider Agelena labyrinthica; their large sheet webs with a tubular retreat being very obvious. Natterjack Toads have had a good year with thousands of tadpoles being seen earlier in the year despite the ponds being rather churned up by deer. More by luck than skill we came across a toad posing nicely within a hollow. 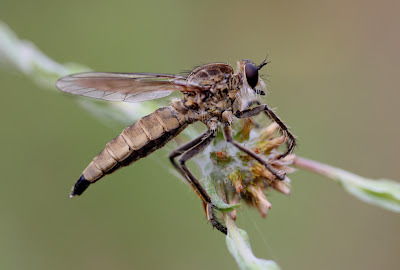 Nearby we found the large Robber-fly Eutolmus rufibarbis. This splendid beast is a scarce species of southern heathlands, especially Breckland. 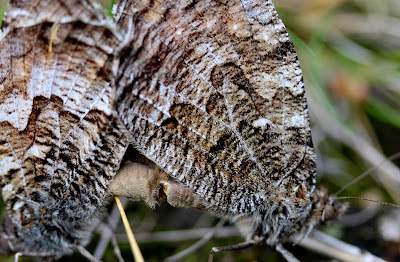 It lays its eggs in slits in plant stems, with the emerging larvae entering the soil and predating dung beetle larvae. 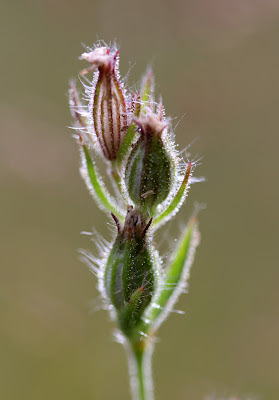 A number of scarce plants were encountered, Red-tipped Cudweed, the diminuative Smooth Cat’s-ear, Mossy Stonecrop and two species of Catchfly: Sand and Small-flowered. Both had just finished flowering but were still readily identifiable from the developing seed capsules. 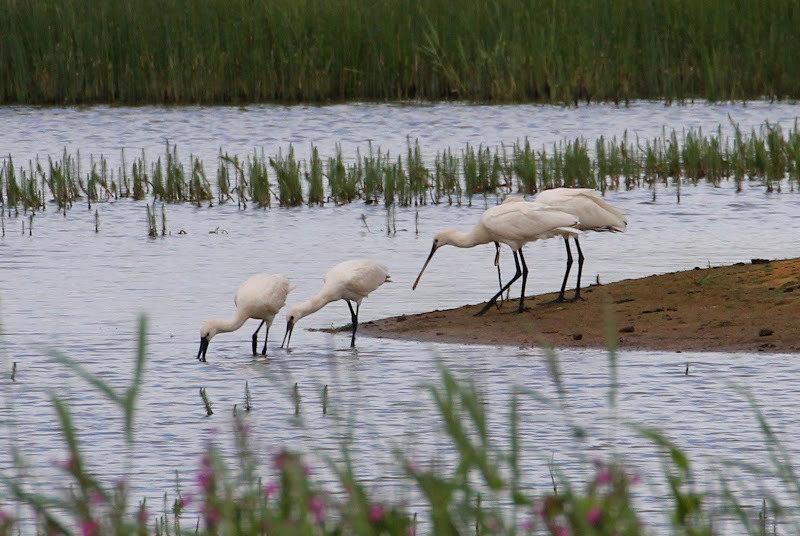 We tried not to look for birds but managed to see a few Stone Curlews and it would have been rude not to watch the group of four Spoonbills that circled, landed and fed in front of us. 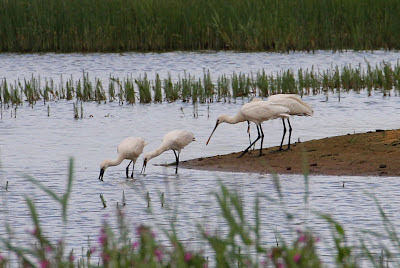 These were no doubt some of the 12 or more Spoonbills currently loafing on the Suffolk coast and includes a 2011 German-ringed nestling which spent last winter on the Essex coast. Stone Curlews have had a moderate year. Five chicks have so far fledged from the ten pairs in the Minsmere area. 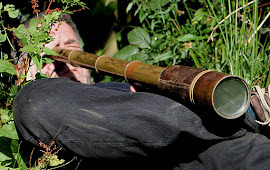 These birds generally choose undisturbed areas well away from public access but this year one pair settled close to the visitor centre, with volunteers posted at a suitable vantage point to point them out to visitors. Little Egrets have come a long way since I first twitched one at Walthamstow Reservoirs in 1972. Locally, the first breeding of Little Egrets in the Lee Valley occurred in 2006 when a pair reared 4 young amongst the Grey Herons at Walthamstow Reservoirs. The valley total for this year seems to be at least 26 pairs in three colonies, at Walthamstow, Amwell and Netherhall. All are tucked rather unobtrusively into Grey Heron colonies but at least 20 broods have been seen to fledge. Further afield, the UK breeding population is now getting close to 1,000 pairs at around 100 colonies. One of the largest colonies is at Northward Hill in north Kent where numbers grew to a peak of 124 breeding pairs in 2009, equalling and then exceeding the numbers of Grey Heron, before dropping to 114 in 2010 and then 94 pairs in 2011 as a result of two successive cold winters. So this mainly fish-eating bird is on the rise. By contrast, breeding Cormorants peaked in the Lee Valley a few years back at a little under 400 pairs. Since then total numbers have dropped despite an increase in the number of colonies. 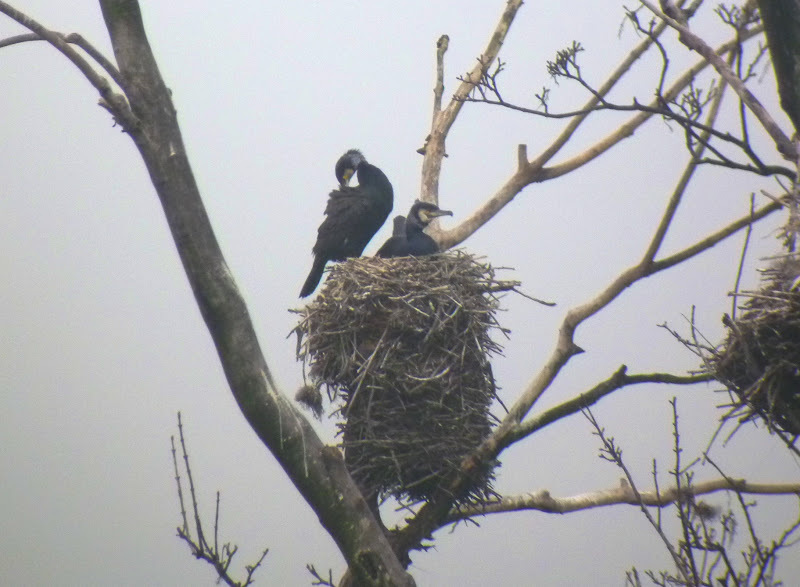 This year the number of active nests in the Valley was around 250 and reflects a steady decline locally over recent years. Which brings us neatly to the recent call by angling groups to add Cormorant to the general licence, thus easing the restrictions on killing. Now, I spent a lot of time ‘angling’, well electro-fishing to be accurate, and then I’m only the assistant, brought along to get wet and carry the boat. In attempting to create new wetlands, much time is and effort is spent enhancing the underwater ‘fish’ habitat. Fish populations reaching a critical threshold is one of the trigger points for getting birds such as the Bittern to breed. Many reserves support good fish populations and the key issue is habitat quality, notably underwater landform, structure and connectivity, the water quality and the diversity of aquatic vegetation. Cormorants have never been implicated as a problem on reserves except in an isolated case where an isolated pool was over-stocked to try and create a specific feeding area for birds. And there perhaps we hit the main issue. Not only do angling clubs frequently stock way above natural densities but they often tend to have sites with poor habitat quality. Redundant gravel pits for example, which even if earmarked as an angling lake, have little or no attention paid to the underwater habitat in the restoration process. So the recent outburst against Cormorants smells rather fishy. Rather than a serious attempt to address the real problems this looks like another attempt to solve a perceived issue with a gun. Conservationists and anglers should be on the same side. Wouldn’t it be great to develop partnerships on some sites where we both work to improve fish stocks through good habitat management?